I am a CPA with over 11 years (and counting!) in accounting field and enjoying every moment of it. I have always valued teaching and tutoring and dabbled in it at every opportunity I have gotten. Be it a teacher's assistant for my CPA prep class or an impromptu session with a student - I try to share my knowledge. I have experienced first hand what a bear the CPA exam can be - I have gotten the dreaded 74 and gathered myself up and studied again. But having a tutor (a prep class in my case) was the difference maker in my quest to pass the CPA exams on my first tries after that first one with a 74. A tutor can guide you in the right direction, hold you accountable and be the source of motivation when you need it the most. I would be glad to do for others what my tutor did for me! I am a member of the QuickBooks Pro Advisor professionals and use QuickBooks extensively in my CPA practice. With over 11 years of experience in Accounting and a few years (and counting) of running my own practice as well as being a decision maker at my jobs, I feel I have a lot of experience and insights to share. Be it the CPA exam, working on QuickBooks or learning about tax preparation and accounting in general - I have a lot to offer and will make it a fun and enlightening experience. You would be able to gain an insider's perspective in one of the most admired and desirable professions of all time. Let's do it! I hold a QuickBooks ProAdvisor designation. I use QuickBooks extensively in my practice and offer QuickBooks consultation to my clients. I am an active CPA and a registered with the IRS (PTIN) to prepare tax returns and represent clients before the IRS. In my more than 11 years in accounting I have prepared tax returns for individuals, corporations, partnerships and LLCs. Excellent, Patient, & Very Knowledgeable! 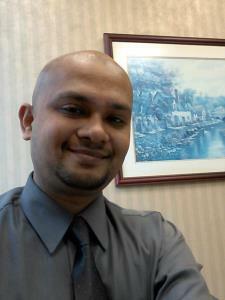 Parag is an outstanding teacher of Managerial Accounting! He is extremely patient and knowledgeable. Highly, highly recommended!!! I would definitely hire Parag again!! !